Imagine how much fun it's going to be when she's actually floatin'! How does Mateo find the action of that rod? 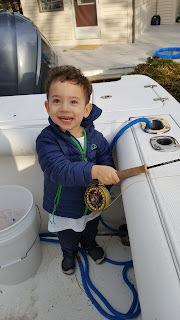 Is it stiff enough for the size class of fish he hooks? 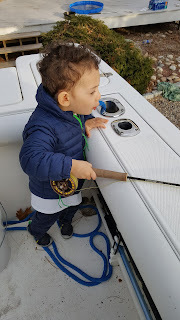 He likes the Circa, but unfortunately he's still waiting for his first fish on it. I'm impressed by his willingness to fish non-traditional lies. He seems convinced that fish can be taken in spots that are completely void of water.